The State Bank of India has initiated the linking of savings rate and short term loan interest rate to repo rate From May 1, 2019. This particular move will undoubtedly pave the way for better transmission of rates to borrowers in the long run for all kinds of loans. 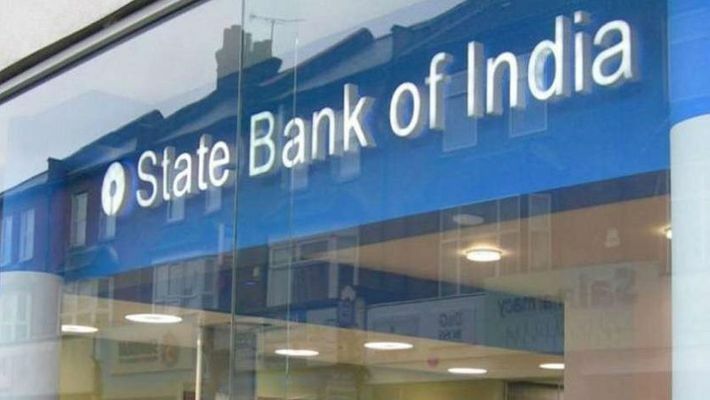 New Delhi: The State Bank of India (SBI) being the largest bank in the country, has initiated the linking of savings rate and short term loan interest rate to repo rate, i.e., the rate at which the commercial banks borrow money from the Reserve Bank of India (RBI) in case of shortage of funds. RBI generally lends to its clients against government securities. Reduction in repo rate helps the commercial banks get money at a cheaper rate and increase in repo rate discourages the commercial banks to get money as the rate increases and becomes expensive. From May 1, 2019, savings bank deposits with balances above Rs. 1 lakh will be linked to the present repo rate of 6.25% minus 2.75% with an effective saving account rate of 3.50% per annum. In case of lending, all cash credit accounts and overdrafts with limits above Rs. 1 lakh will be linked to the repo rate plus an interest rate of 2.25% to 8.50%. The bank also mentions that the risk premiums above the floor rate of 8.50% would be based on the risk profile of the borrower. This particular move will undoubtedly pave the way for better transmission of rates to borrowers in the long run for all kinds of loans. At present, the deposit growth is low in the market whereas credit growth is slowly increasing. The deposit growth rate which used to be 18% and above in 2011 has now moved to below 10 per cent. There is already a struggle to gather deposits to fund asset growth. There is a competition for deposits in the market. The private banks and new payments and small finance banks are offering higher savings rate. This rate ranges from 5 to 7 per cent for deposits over Rs 1 lakh. There may be a shift to fixed deposits within the same bank. For example, SBI, offers 5.75 to 6.40 per cent for a year on fixed deposits below Rs 1 crore. Kotak Bank offers a savings rate of 6 per cent for deposits of over Rs 1 lakh up to a crore. The bulk of the bank's cost of fund is dependent on deposits, which include current, savings and fixed deposits. Repo borrowing is generally for mismatches, which constitutes 5-10 per cent. In order to make an impact, the deposit rates have to go down in totality, and if the overall cost of funds comes down, there will be more interest rate benefit to the customers. Currently, the banks' margins are also under pressure because of deterioration in asset quality and higher provisioning for stressed assets. In these tough times, some banks will certainly resist transmission of interest rates to protect their margins. SBI's chairman Rajnish Kumar had said that linking rates of bank deposits for Rs 1 lakh and above with the Reserve Bank of India's repo rate would speed up monetary transmission process. Banks are passing on the rate cuts that the RBI announces to their borrowers without many delays. For example, if one is an SBI account holder; currently, his bank offers an interest rate of 3.5 per cent annually on deposits up to Rs 1 crore and 4 per cent per annum on deposits above Rs 1 crore. Now, with the new development, the deposits above Rs 1 lakh will be subject to change as per the change in RBI's repo rate every month. That means savings interest rates for such accounts will go up when the repo rate rises and vice-versa. However, savings deposits below Rs 1 lakh will not be impacted and will operate at the existing fixed rate. According to SBI, small borrowers with cash credit accounts and overdraft limits up to Rs 1 lakh will not be included in the linking process. Hence, they will continue to pay interest in the same way as earlier. However, for short-term borrowers with cash credit accounts and overdraft limit over Rs 1 lakh, their EMIs will depend on the rise or fall of repo rate. According to SBI chairman Kumar, only 5% of the customers will be impacted by the change. 95% of customers will have stable interest rates. The impact will be only for individuals with deposits over Rs.1 lakh and above. The impact on the number of credit customers will be more. No retail accounts will be impacted. Only wholesale or corporate account will see a change. The variable rate becomes applicable only to the running account which has cash credits and overdrafts. The bank believes that retail customers should not be exposed to market risk and they need stability in interest rate. Hence, in order to insulate the small deposit holders and small borrowers from the movement of external benchmarks, bank has decided to exempt savings bank account holders with balances up to Rs.1 lakh and borrowers with CC or OD limits up to Rs.1 lakh from linkage to the repo rate. Corporates can always hedge and plan their cash flows better. Home loan borrowers are more concerned about the stability of their EMI, i.e. monthly instalment. If their EMI fluctuates with repo rate, it will not work, added Kumar. The Reserve Bank of India (RBI) is currently considering whether to do away with Marginal Cost of Funds based Lending Rate (MCLR) and link all loans to the external benchmark rate. The marginal cost of funds based lending rate (MCLR) refers to the minimum interest rate of a bank below which it cannot lend, except in some cases allowed by the RBI. It is an internal benchmark or reference rate for the bank. The State Bank of India's move to link certain loans to repo rate will indirectly bring down loan rates connected to MCLR, but the quantum will be lower. Due to the repo rate linkage, MCLR will see an impact although not by directly by 25 bps (basic points) because the weighted average cost is taken on the fund. But there will be a movement of 5 to 10 bps in MCLR on both sides. The impact is due to the substantial weightage of savings deposit rate on MCLR. Is Raghuram Rajan right in doubting India’s 7% growth?